The Supreme Court is expected to pronounce its judgement in the Uphaar cinema tragedy case today. Fifty nine people had died of Asphyxia and over 100 injured in the worst ever cinema disaster in the country due to fire at Uphaar cinema in New Delhi during the 3 to 6 pm screening of the movie Border, on June 13,1997. The FIR was lodged in the Hauz Khas Police Station. The investigation was handed over to crime branch Delhi Police in the third week of June 1997. Subsequently the investigation was transferred to CBI on 26th July 1997. The Trial Court had convicted all the 12 accused who had been charge sheeted by the CBI. (4 accused died during the trial namely R M Puri Director Uphaar, Uphaar, K L Malhotra , D G M Uphaar, S N Dandona ( PWD) & Surinder Dutt ( DFS). Sushil Ansal & Gopal Ansal were sentenced to 2 years in prison after being convicted u/s 304 A, 337 and 338 of the IPC. 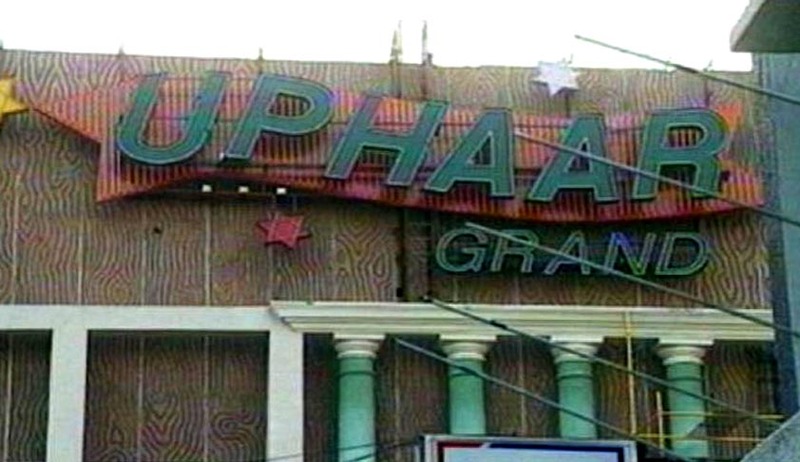 Radhakishan Sharma, Ajit Choudhary & N S Chopra, the Managers of Uphaar Cinema were convicted under Section 304 of the IPC and sentenced to 7years in prison. Manmohan Unniyal, the Gate Keeper of Uphaar Cinema was handed down a sentence of 7 years after being convicted by the Trial Court u/s 304 IPC. B M Satija, A K Gera & Bir Singh were handed down a sentence of7 years after being convicted by the Trial Court u/s 304 IPC. H S Panwar was sentenced to 2 years in prison after being convicted by the Trial Court u/s 304 A IPC. N D Tiwari & Shyam Sunder Sharma sentenced to 2 years in prison after being convicted by the Trial Court u/s 304 A IPC. On appeal, the High court convicted 6 out of the 12 accused who had been convicted by the trial court and acquitted the others. Ajit Choudhary, Manager Uphaar died during pendency of the appeal. Sushil and Gopal Ansal filed a SLP before the Apex Court, praying for an acquittal. The High Court had reduced their sentence from two years to one year whereas the CBI and victims of the fire tragedy demanded that the Ansals be convicted under more stringent sections. The CBI had in fact, filed a counter appeal for enhancement of sentence to 2 years for Sushil Ansal, Gopal Ansal, H S Panwar, Alteration of charge to Section 304 of the IPC for B M Satija, Bir Singh & Manmohan Unniyal (Gatekeeper, Uphaar) and against the acquittal of N S Chopra (Manager Uphaar), A K Gera, N D Tiwari & Shyam Sunder Sharma., while the Association of the Victims of Uphaar Tragedy had preferred a SLP before the Apex Court for enhancement of sentence of Sushil & Gopal Ansal and alteration of charge to Section 304 of the IPC. After the hearing of the appeals, which commenced on 16.02.2012 and took nearly a year for completion, Judgment was reserved by the Apex Court on 17.04.2013.